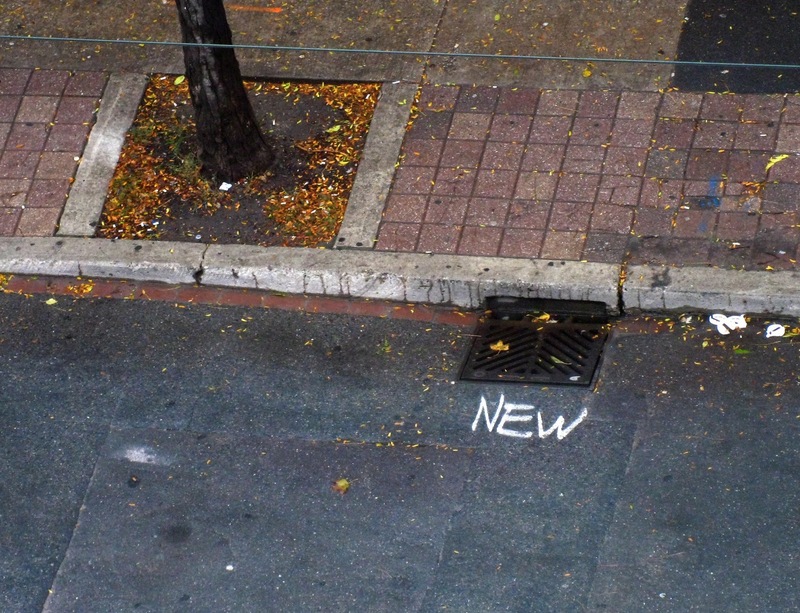 There are a lot of things people don't know about sewers. And Andrew Moses is going to show them. Starting with his Mom. He's just picked her up at the airport for her yearly visit. When he helps her into the car, she wrinkles her nose and says: "gracious Andrew. What's that smell?" Mid-afternoon downtown traffic is bad. The car inches forward. "Have you decided where you're taking me for dinner tonight?" she asks him. "Uh. Not yet," he says, and she clucks her tongue in disapproval. Andrew can't think of much right now, because they're getting closer to his storm sewer. He's on the maintenance department for Public Works. On his latest survey, Andrew discovered this sewer was badly clogged and in need of replacement. He ordered the parts and helped to install it. He was so proud of what he'd done, he poured a bottle of water onto the pavement, just to watch gravity take it smoothly over the fresh grates. And now he wants his Mom to see it. He needs her to see it. 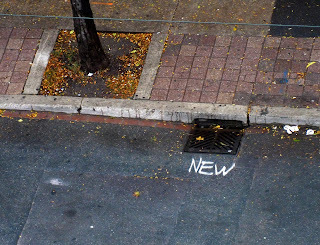 Yesterday, he got a can of white paint and sprayed: NEW in front of it, so they'd know from the car which sewer was his. "It's awfully cold here," Andrew's mother says. "Is it always so frigid?" Four years ago, she moved down south to a place called: Casa Grande, which Andrew has never seen, but imagines has a lot of horses and folks with guns. "My poor bones are aching already" she says, fiddling with the heater. "The heater doesn't work," Andrew says, and then realizing how close they are to his sewer: "Mom, there's something I want to show you." Her head is bent, face close to the dials so she can read the buttons, "Work doggonit," she says, smacking the vent with her palm. She'd wanted him to be a lawyer or a dentist. Something where he'd have to wear a clean coat. "Mom, forget the heat. There's something important..."
Someone behind them leans on the horn telling Andrew to move. Another car joins in, and soon there is a chorus of honking all around them. It's not until they've driven past his sewer, that Andrew's Mom finally lifts her head. "You need to get that heater fixed," she says. A friend of mine recommended I check out your blog. I love the concept! I will be sure to visit and read your stories again. -Kate M.
This story is filled with such longing, way to go Britt. Even as adults, we still long for that affirmation from our parents... Great writing Brittany!